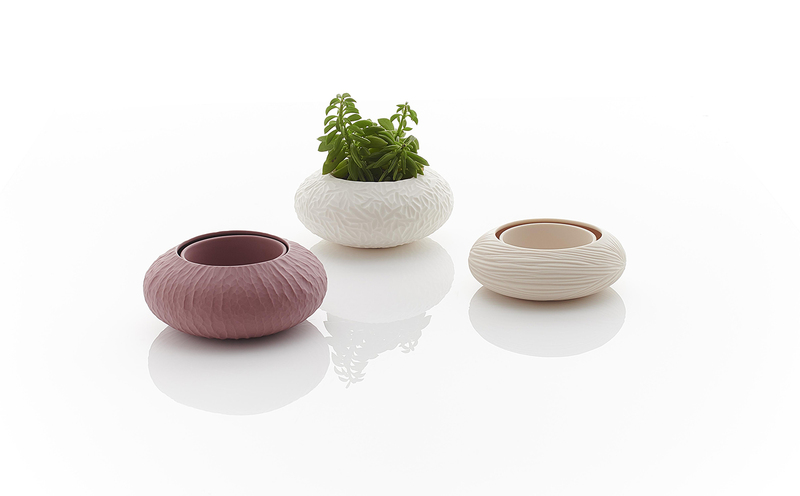 A series of small round shallow porcelain pots inspiration from succulents, their textures and geometry. 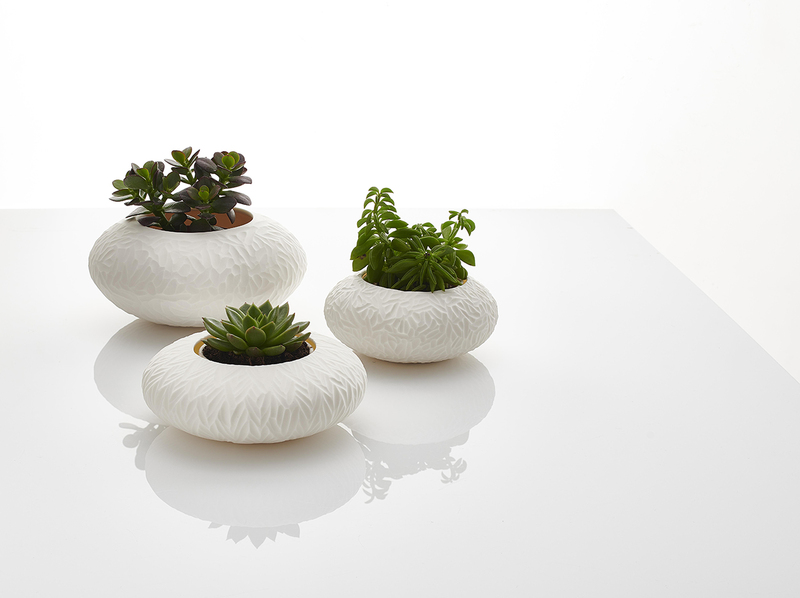 Each pot has a unique hand carved texture which follows the geometry and movement of the succulent in mind. The pots come in 2 colour range white and brick red. 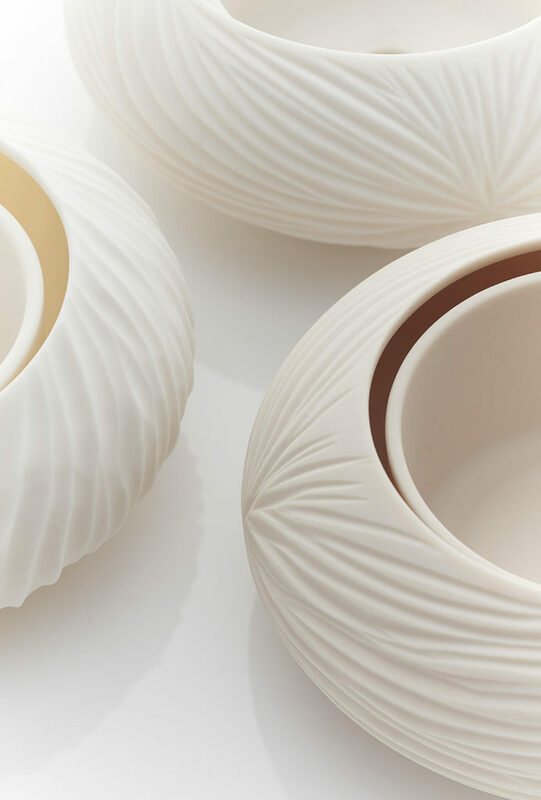 The colour of the pots were studied to harmoniously coexist with the plants as well as have a contemporary modern feeling.